According to the website of The National Eïsteddfod of Wales, Sir Bryn will be in concert presenting Paul Robeson Friday and Saturday 3-4 August. Location : Donald Gordon Theatre, Wales Millennium Centre. From a première starring Bryn Terfel to an audience with Welsh icon Geraint Jarman @Eisteddfod_eng concerts go on sale on 3 April. For the first time, there will be two performances of the Eisteddfod's opening concert. Sir Bryn Terfel is a star This is my Brother: Paul Robeson - Hero for Wales, Hero of the World, a beopic of the life of actor and singer Paul Robeson and his strong connection with Wales. We can track the life of Robeson through the eyes of one of his foremost supporters, Mr Jones, portrayed by Sir Bryn Terfel, as he tells the story of Twm, a young boy looking for a hero. Twm is portrayed by Steffan Cennydd. 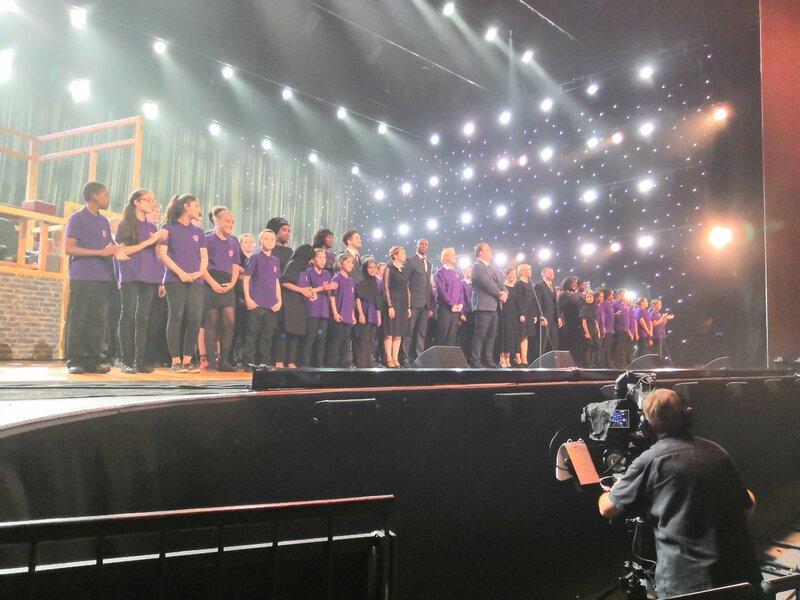 Other performers include five young soloists, John Ieuan Jones, Elain Llwyd, Elin Llwyd, Steffan Prys Roberts and Mared Williams, all former national winners, together with the 2016 Eisteddfod Festival Choir, Côrdydd, a choir of the youth of the Cardiff catchment area, Ensemble Black Voices from Birmingham, and dancer Matthew Gough. Mererid Hopwood is the author of the libreto, and the music was composed by Robat Arwyn. The director is Betsan Llwyd. The performance of Friday night is held on the day since the day since Paul Robeson addressed the 1958 Eisteddfod audience in Ebbw Vale. Paul Robeson's life and singing. And his love for Wales and the miners. 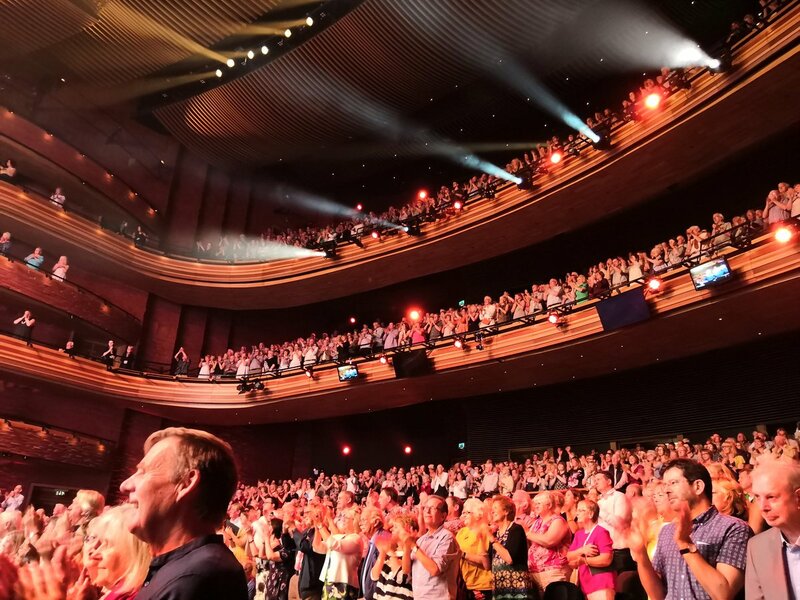 Opera star Sir Bryn Terfel is opening the Eisteddfod 2018 in Cardiff Bay with sell-out concerts over two nights. The Welsh bass-baritone will be singing a Welsh translation of a Paul Robeson song as part of a new work celebrating his links with Wales. It marks the 60th anniversary of the American bass singer's performance at the Eisteddfod in Ebbw Vale. This year's Cardiff Eisteddfod, opening on Friday, is expected to attract at least 150,000 visitors over nine days. #HwnYwFyMrawd  What a way to start #steddfod2018! Rumours say the concert will be screened on S4C 21 October 20:30 CET. It is now official. This weekend's concert will be broadcasted on S4C 21 October. I don’t know but it will be something to look forward to in the autumn I guess. An interview in Welsh from the Eisteddfod.